Servers | KGS | 'bigbadwolf' is back! 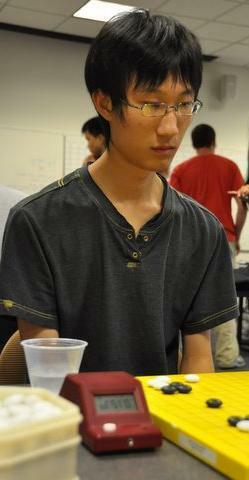 Andy Liu, who is currently 19 years old (his next birthday is in 27 days, 5 May) is one of the strongest players in the USA. He has been playing on KGS since 2005 (aka 'bigbadwolf') and so he is very famous there. After taking a two-month break from KGS, 'bigbadwolf' is now back and at full strength! Today he played Ilya Shikshin ('roln111'), the current European Champion, and secured a decisive win. As might be expected, 'bigbadwolf' has a plus score against 'roln111' (7-5), and he is always taking White. Nevertheless, some believe that sooner or later Ilya will turn that score around. We look forward to more exciting battles between the two!